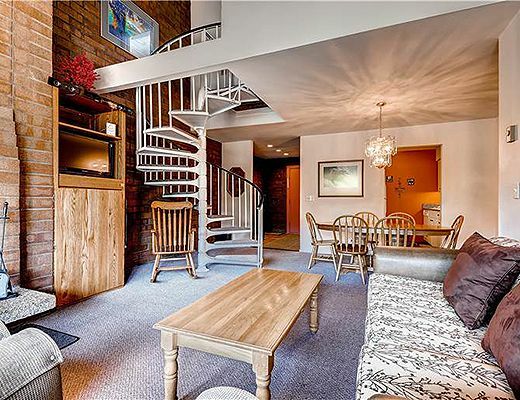 Comfortably sleeps eight guests on two levels. 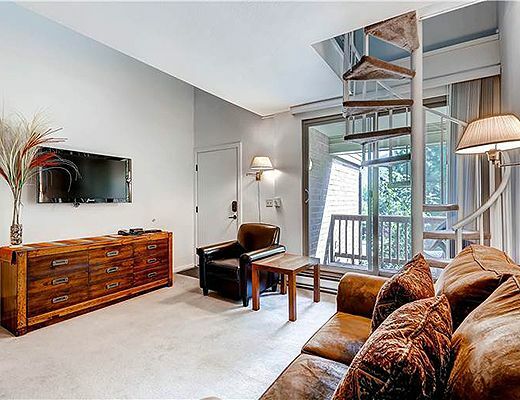 The main level offers a cozy living room with wood burning fireplace, TV and adjacent balcony with seating for aprÃ¨s ski enjoyment. 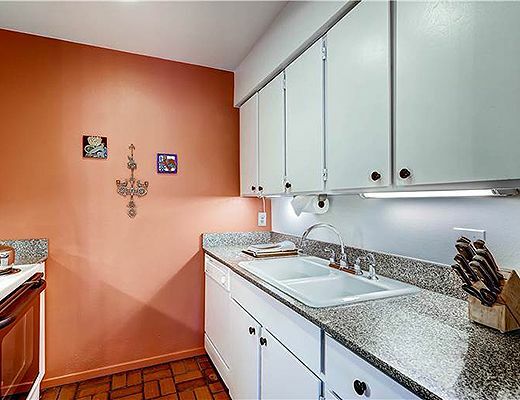 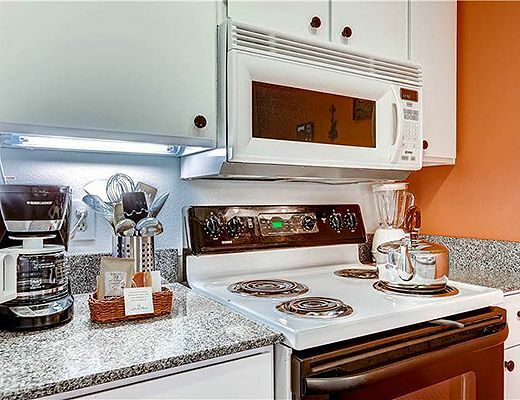 Fully equipped kitchen and dining for 6. 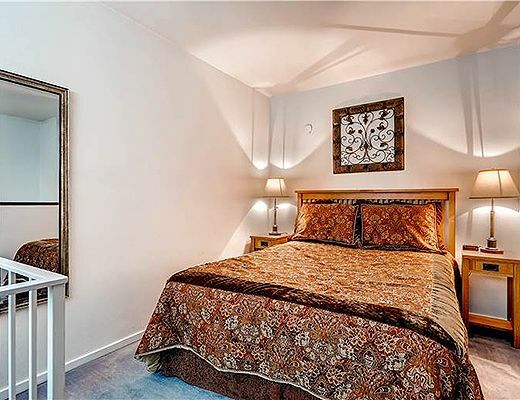 Also on this level is a queen guest room, twin trundle and a family room with wall mounted flat screen TV, balcony and bathroom. 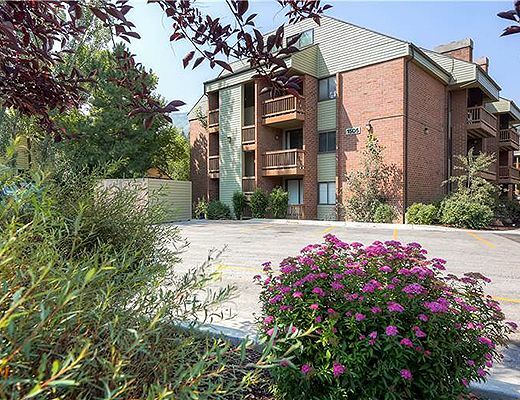 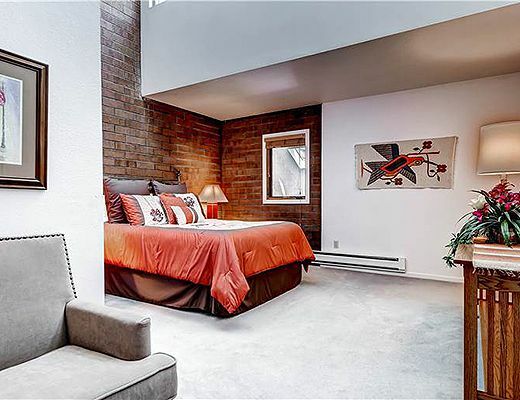 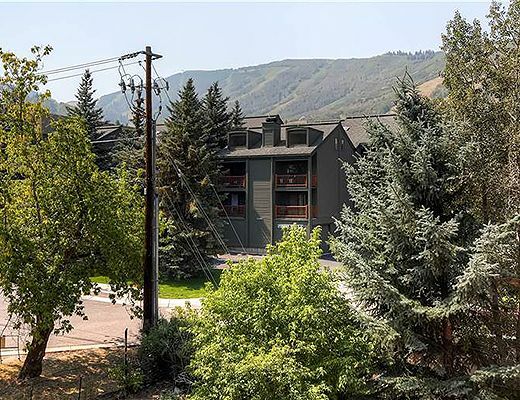 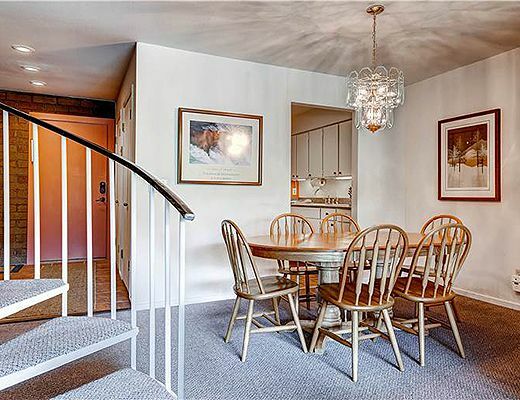 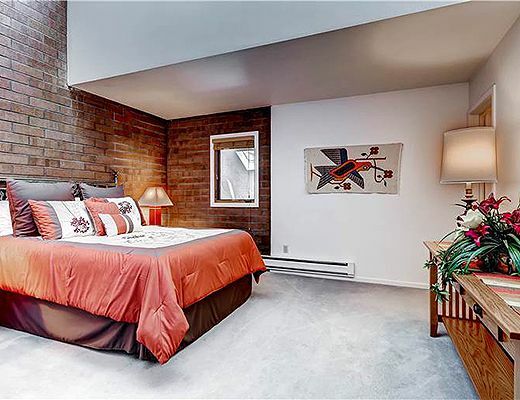 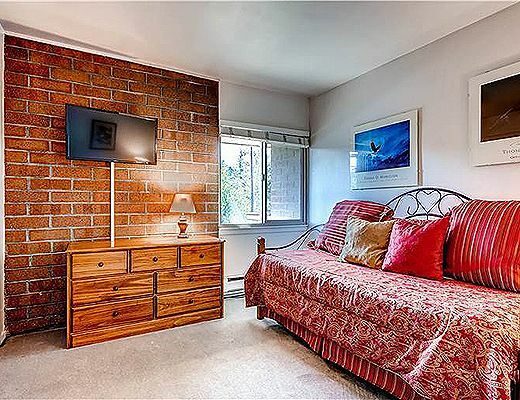 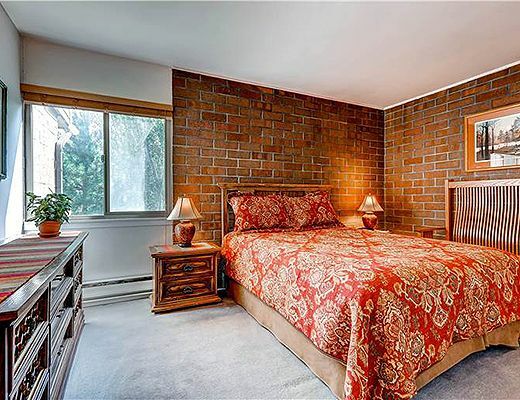 This condominium is conveniently located three blocks from the Park City Mountain base area for easy access to the lifts and shopping, dining and groceries. 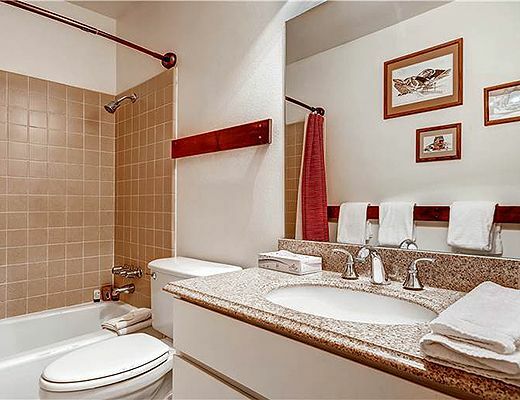 Out your door access to the free bus route to explore Main Street, Deer Valley Resort and Canyons Village, as well as the Tanger Outlet Mall and Utah Olympic Park. 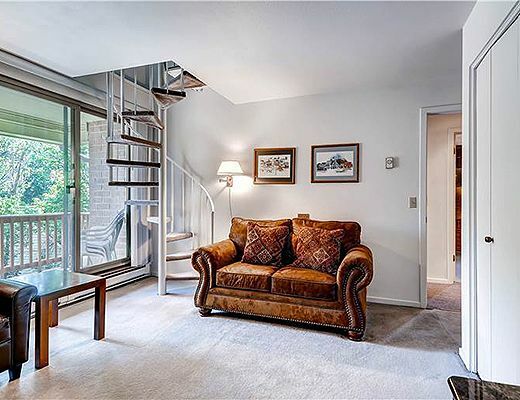 From the family room, walk up the unique circular stairwell to a loft bedroom with queen bed. 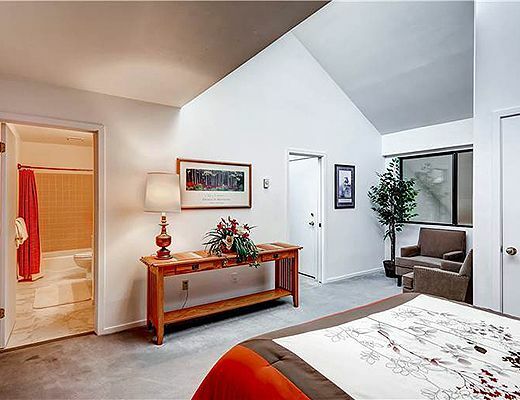 The master suite is located upstairs from the main living room. 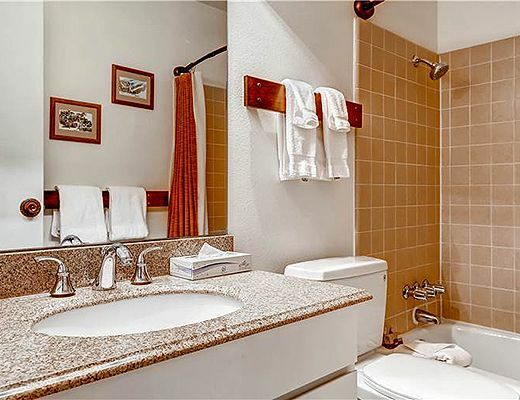 Enjoy this spacious suite with seating area, large closet/dressing room, lots of natural light and private bath. 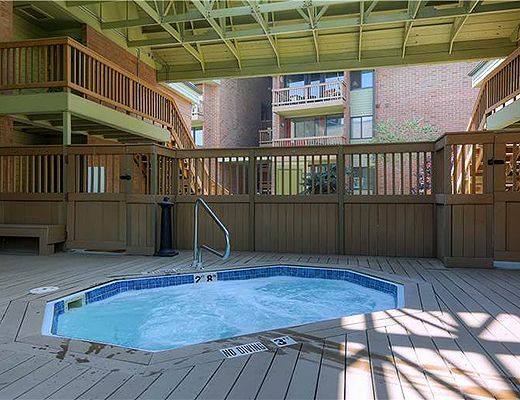 The complex offers a year-round hot tub, laundry facility and free wi-fi.